Participant - be involved as a family representative or observer. Heal yourself while healing others. Family of Focus - be intimately involved in choosing and directing others as they stand in as representatives of your family matrix. Heal others as you heal yourself. The Family Matrix is the instrument used to make visible the normally hidden dynamics operating in relationship systems. Family generations develop either through love and expansion or fear and contraction. All of the major relationship patterns are the results of illusions of loss. This fear leads people deeper into their bodies and separateness. Love follows the hidden order of the Greater soul. Injuries to the order of love by earlier members of a family affect the lives of later members, just as the waves and ripples in a river caused by a submerged boulder upstream still twist and swell far downstream. The Family Matrix begins to release and realign these generational patterns allowing more love and light to flow freely through the family. Chosen representatives become a living model of the original family relationship system. 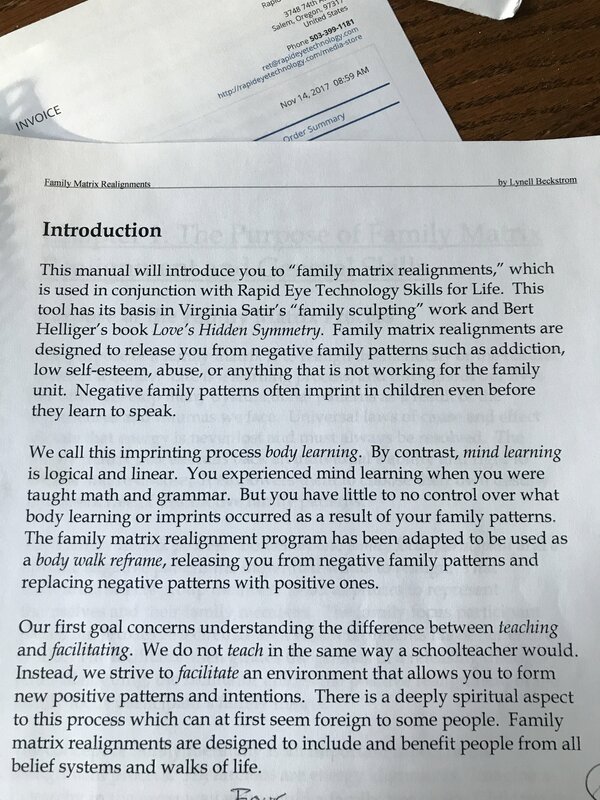 Those representing family members (in proxy) can experience in their own bodies what the original family members felt, what they needed, and what will help. In the process, everyone benefits - the family of focus participant, their family members, those chosen to represent family members, and all participants not chosen as representatives. Everyone involved! We are all connected as the family of man. It is through this connected energy or “collective consciousness” that we tap into the information needed to release the negative patterns of relating that are slowing down our spiritual evolution personally and as families. This is a LIVE seminar. Check the RET Calendar of Events for dates and places. Or call the RET Institute at 503-399-1181. 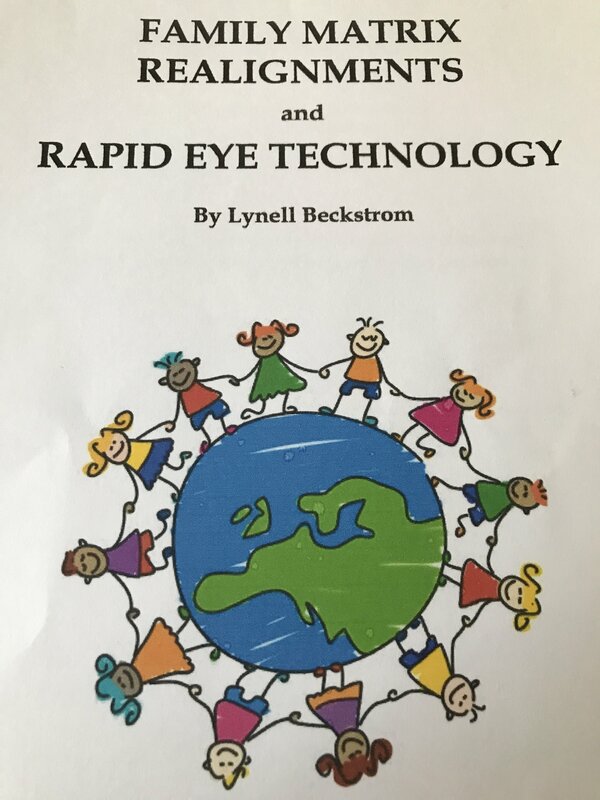 Lynell Beckstrom is a gifted healer and Master RET trainer. A Reiki Master teacher, she also has certifications in herbal counseling, essential oils, and Drug and Alcohol counseling.